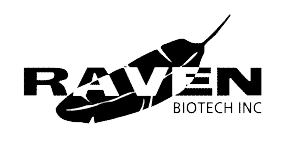 References - Raven BioTech Inc. Effects of methanol concentration on expression levels of recombinant protein in fed-batch cultures of Pichia methanolica. Brian E. Mayson, Douglas G. Kilburn, Bruce L. Zamost, Christopher K. Raymond, Gary J. Lesnick. Volume: 81, Issue: 3, Date: 5 February 2003, Pages: 291-298. On-Line monitoring and control of methanol concentration in shake-flask cultures of Pichia pastoris. Volume: 56, Issue: 3, Date: 5 November 1997, Pages: 279-286. Available online 7 July 2004. Fermentation strategies for improved heterologous expression of Iaccase in Pichaia pastoris. Volume: 79, Issue: 4, Date: 20 August 2002, Pages: 438-449.